With a degree in product design, street artist Evol has become known for his urban installations and paintings made on reclaimed cardboard. 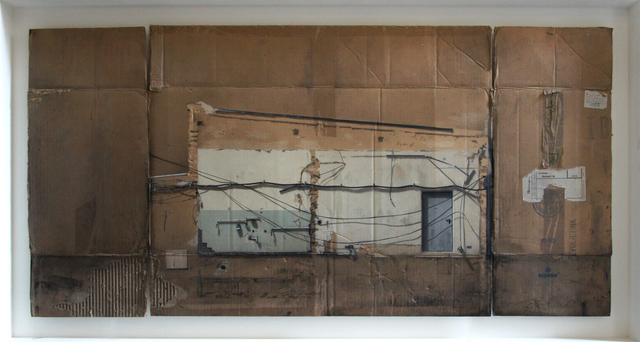 Evol is interested in depicting the urban lives of ordinary people in decaying buildings. 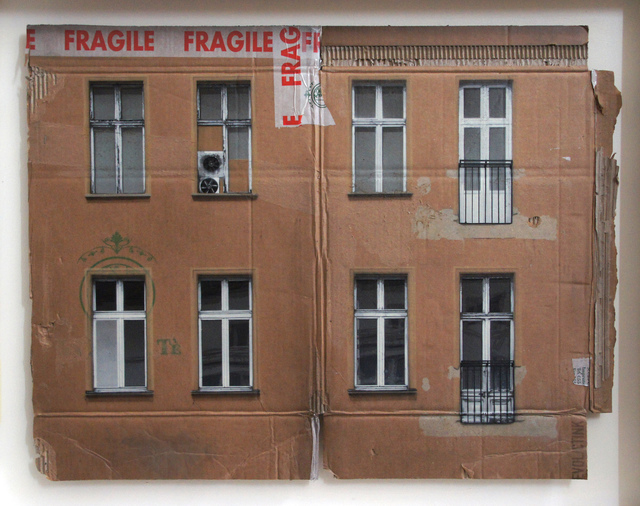 For his public practice, he turns electrical boxes and street fixtures into miniature architectural models of austere apartments, using a process that combines pasting paper, stenciling, and painting. 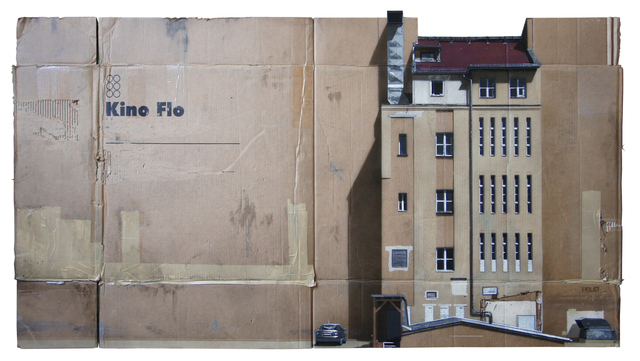 He also stencils and paints urban street scenes and buildings onto cardboard and incorporates its tears, markings, and folds into his compositions as part of the buildings’ facades. Evol believes that the character and history of any space is manifest on its surface, and many of his works are narrative or suggestive of the turbulent history of Berlin.